Like the post. Any chance you can make those graphs bigger? They are hard to read for sight impaired guys like me. Your measure and the market measure are consistent. Now I want to comment on “limiting wage gains”. I get it that this White House is touting how much nominal wages are rising. 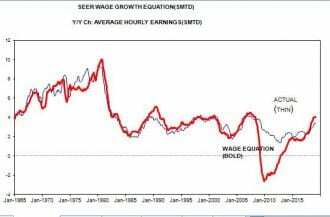 They want us to believe that real wages are soaring. 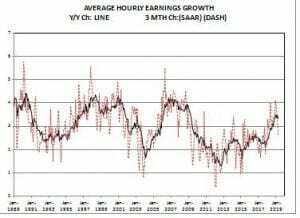 But we know that nominal wage grains overstate real wage gains when inflation is not zero. 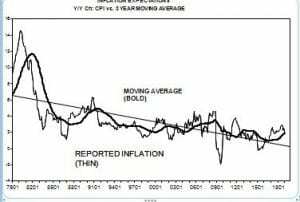 And inflation clearly is not zero even if Stephen Moore says it is. Let’s take care to also note what is happening with real wages as this White House will not.